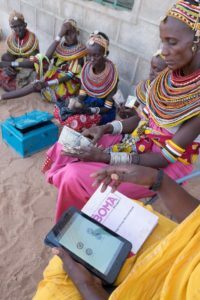 With a prestigious Force for Change grant from Salesforce.org, BOMA has developed an innovative digital platform, Performance Insights. This powerful tool marks another milestone in our commitment to collecting accurate impact data from the field — finding out in real-time how our participants, businesses and savings groups are performing across a rural region the size of New England. To learn about Performance Insights, progress on two joint pilot projects, and other recent accomplishments, click here.